Mmm, I love Larabars, so I’m excited to see they have a new product, Renola! 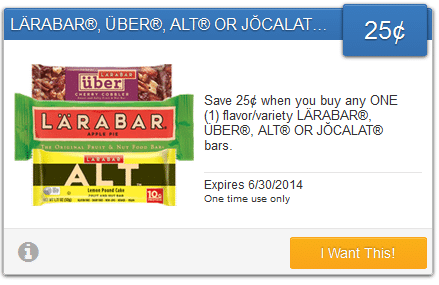 Plus, here’s a $.50 off any Larabar Renola bar coupon that should get you a pretty cheap bar to try! You can print two copies. Dairy-free? Here’s a new $1 off any 8th Continent soy milk, 64 oz. coupon for you! You can print two copies. 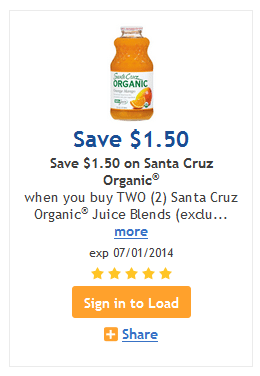 Wow, here’s a super rare $1 off any Organic Valley half and half coupon! Print it now before it disappears. You should be able to grab a good deal with it at Whole Foods or other stores. 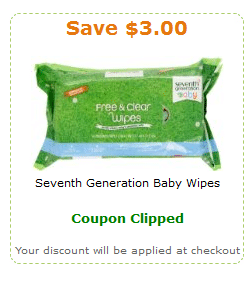 If you are gluten-free here’s a new $.75 off any Food Should Taste Good rice cracker coupon for you! 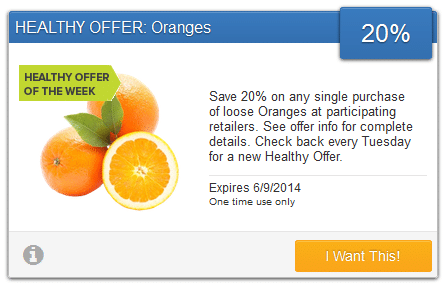 I’m excited to see this new higher-value $1 off any Cascadian Farm granola coupon! You should be able to grab a box for under $2 when paired with a sale!